The physical benefits of swimming are obvious in athletes like 23-time Olympic gold medalist Michael Phelps. Toned muscles, muscle strength, and a well-sculpted physique describe a "swimmer's body." However, there is one characteristic most swimmers possess that we can't see: better brain health. It's no surprise aerobic exercise is not only good for the heart, but also good for the brain. It improves brain function, and also helps repair damaged brain cells. But certain aerobic exercises, like swimming, can provide additional brain benefits on a molecular and behavioral level by affecting neurotransmitters that influence mood and stress-reducing hormones. A boost in blood flow can help improve memory, mood, clarity, and focus. A 2014 study found immersing ourselves in a steep pool increases blood flow to the brain. When participants were immersed in water up to the level of the heart compared to on land, brain blood flow was higher. Blood flow to their middle cerebral arteries increased by 14 percent, while blood flow to their posterior cerebral arteries increased by 9 percent. However, he suggests we can reap these benefits even if we’re not immersed in water to heart level. “It does not depend on the water level since swimmers swim horizontally, regardless of water depth,” he told Medical Daily. 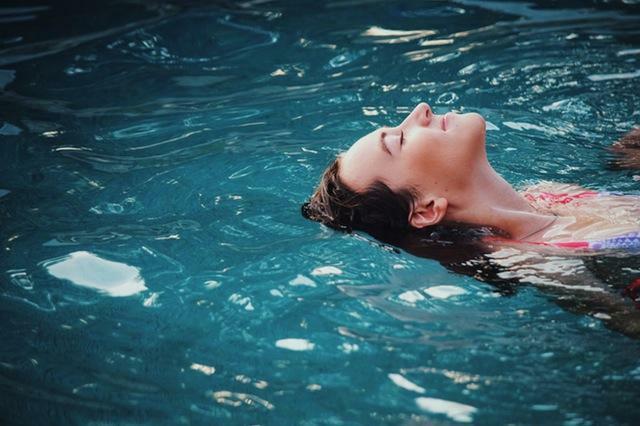 “Swimming actually can help reduce depression for several reasons, one of which is that it helps stimulate production of brain chemicals that elevate mood and outlook,” Dr. David Coppel, director of neuropsychological services and Research at the University of Washington Sports Concussion program, told Medical Daily. A 2007 study found active swimming had an antidepressant-like effect on depressed rats. The rodents took a swim test to determine the amount of time they spent immobile in water and the time they spent swimming around in active mode. The slothful rats spent much more time in active swimming compared with the non-running depressed rats, and were less likely to display depressive symptoms after 30 days. Swimming is effective at reducing panic and feelings of sadness because the techniques used, such as strokes, breathing, and repetitiveness, “can be meditative, which in turn could provide tension relief,” according to Coppel. Brain damage from stress can also be reversed with swimming via hippocampal neurogenesis, or replacing lost neurons. In the previous study, researchers found neurons in the hippocampus region of the brain, involved in learning and memory, dramatically increased in the depressed rats. Previous research has found the hippocampus shrinks in depressed individuals, which is believed to be the cause of mental health issues often associated with depression. Prichard reminds us the hippocampus will grow with exercise, and also increase oxygen going to the brain. “Brain oxygen is not only a function of swimming, but is also a function of chest expansion,” he said. 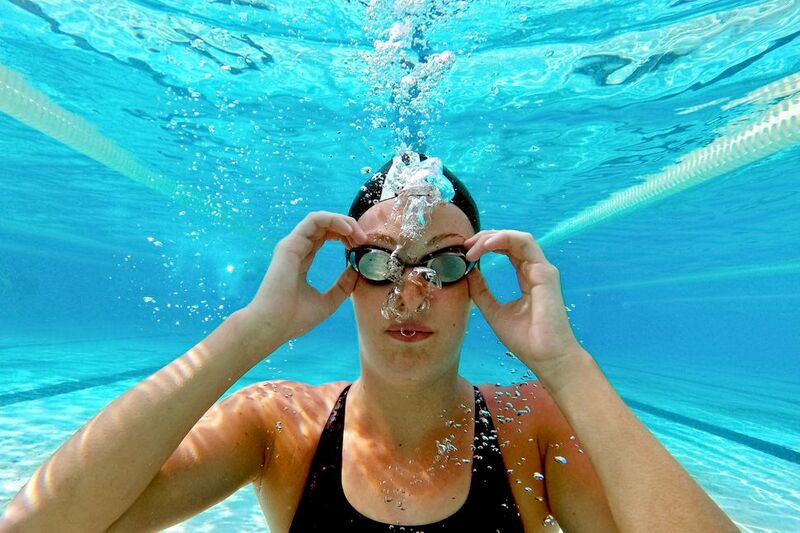 The bilateral cross-patterning movements in swimming help with the development of nerve fibers in the corpus callosum, which connect the right and left hemispheres of the brain and facilitate communication between the two. Swimming activates both brain hemispheres and all four lobes of the brain simultaneously, which can lead to increased cognition, and an easier time learning. A 2012 study found children who learn how to swim at a young age reached many developmental milestones earlier than the norm. These milestones included refining gross motor skills like coordination, and visual-motor skills such as cutting paper, coloring in and drawing lines and shapes, and many mathematically-related tasks. Exercise, not just swimming in general, is great for the brain. However, Coppel suggests that we focus on the benefits for the mind. This article was originally written by Lizette Borreli and appeared here.